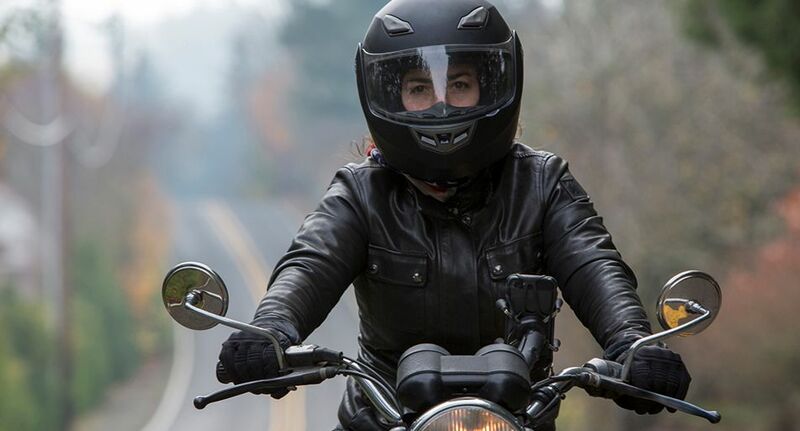 When it comes to buying a motorcycle helmet, safety-first is usually the best approach. You can’t put a price on the safety of your head, after all. Yet, choosing a motorcycle helmet that specifically suits you needs isn’t always as easy as it sounds. There are a variety of factors that should be considered when purchasing a motorcycle helmet, as different helmets suit different riders. Consequently, taking the time to select the right motorcycle helmet for you is extremely important. That’s why we have put together this guide, which details how to choose the right motorcycle helmet for you. Covering safety, style, size, price, extra features, and helmet maintenance, our guide will help you choose the right motorcycle helmet for you, leaving you free to enjoy the open road! Motorcycle helmet safety: what are the rules? Before you can start considering things like what colour you want your motorcycle helmet to be or how much you’re willing to spend on a helmet, it’s important to understand the motorcycle helmet laws in Australia. This is especially pertinent as helmet laws have changed significantly in Australia in the last few years. More specifically, it is now legal to sell European-standard helmets in Australia. If purchasing a helmet for road use, riders should look for a label saying the helmet is compliant to either ‘AS1698’ or ‘UNECE 22.05’ standards. ‘AS1968’ is the Australian safety standard for motorcycle helmets, indicating that the helmet model has passed rigorous testing to be deemed safe for road use, while ‘UNECE 22.05’ is the European equivalent. It is also legal for retailers to sell helmets which are compliant with DOT, Snell, and BSI standards. Riders should also look for a label on the chin strap that says ‘E1’. Speaking of chin straps, all Australian states and territories stipulate that motorcycle helmets must be securely attached, meaning the chin strap should always be fastened while riding. There are many different styles of motorcycle helmet, so it’s important to consider which style will best suit your needs. Popular motorcycle helmet styles include: full face, open face, modular, half shell, and dual sport. For maximum safety, full face helmets are usually the best choice. Studies show that the most common area of impact (19.4%) in a motorcycle crash is the chin. Full face helmets provide greater chin protection than other styles of helmet, meaning they are usually the safest option for general use . Half helmets, on the other hand, are probably best avoided if safety is a priority. Interestingly, half shell helmets are approved for use in America and Australia, but not in Europe. This is because half shell helmets only protect half of your face, leaving your chin exposed in a crash. While half shell helmets do provide more ventilation, which is a plus for some riders, the safety risks aren’t usually worth it. Open face helmets provide more protection to the ears and side of the head than half shell helmets, but also lack adequate chin protection. Again, they provide more ventilation in hot riding conditions, but leave your chin exposed. Many riders love the convenience of modular helmets, as they can be flipped open at the chinbar, allowing the rider to do things like talk, take pictures, and refuel without having to remove their entire helmet. Although modular helmets look similar to full face helmets at first glance, they often have lower safety ratings. As such, modular helmets are not suitable for professional racers, however for low-speed, day-to-day commuting, they will usually get the job done. Finally, dual sport helmets are suitable for both on-road and off-road riding. They feature a face shield like other on-road helmets, but also leave enough room for a pair of goggles to help keep the dust out of your eyes when you’re riding off-road. Other common helmet types include touring helmets, which are built for riding long distances, and race helmets, which, as the name suggests, are designed for the race-track. The style of helmet that best suits your needs will vary depending on where you mainly ride. If you mainly use your motorcycle to commute, it’s probably best to prioritise comfort, versatility, and safety. Alternatively, if you ride with a group, being able to communicate with your riding partners is critical. Or, if you use your motorcycle for racing, then specially designed racing helmets, which include additional safety features, are a must. You’ve identified the right style of helmet for you, now, it’s time to find one that actually fits. When it comes to motorcycle helmets, one size definitely does not fit all. Therefore, a little trial and error will probably be necessary. Firstly, you will need to measure the circumference of your head. To do this, grab a tape measure and measure around your head, starting about 2cm above your eyebrows. Once you have this measurement, you can compare it to one of the size charts that all major motorcycle helmet manufacturers provide. This will give you a rough idea of what size helmet you need. Even so, you still need to account for the shape of your head. Typically, head-shape can be split into three distinct categories: long oval, intermediate oval, and round oval. To get an idea of what shape your head is, ask a friend to take a photo from above. When selecting a motorcycle helmet, it’s extremely important to find one that is not only the right circumference, but also matches your head shape. A motorcycle helmet shouldn’t slide onto your head like a hat – if it does, it is almost certainly too big. Rather, it should take some force to pull the helmet past your ears. To ensure the helmet is not too big, ask a friend or salesperson to hold the chinbar and move the helmet side to side, while you keep your head facing forwards. A properly-fitted helmet should pull on your cheeks and forehead, while a poorly-fitted helmet will slide sideways easily. Repeat this process, but this time, move the helmet up and down. A properly-fitted helmet shouldn’t slide past your eyes. To check that the chin pads fit properly, attempt to slide four fingers into the helmet near your cheeks. If you can fit four fingers in, the helmet is probably too big. Perform this same four finger test on your forehead area. Again, if you can slide four fingers in, the helmet is likely too big. Finally, secure the chin strap, tilt your head forwards, and ask a friend/salesperson to try to lift the helmet forwards off your head. If the helmet can roll off your head in this position, it is definitely too big. You know what style of helmet you need, and have found one that fits. Now, it’s time to talk money. How much you are willing to spend on a motorcycle helmet will vary from person to person. However, there is one common myth that should be debunked before you spend your hard-earned cash on a helmet. Don’t fall into the trap of thinking that more expensive helmets are inherently safer than cheaper models. While it is true that more expensive helmets generally have high safety ratings, it is equally possible to find more affordable models that have top-notch safety credentials. Often, when purchasing a more expensive motorcycle helmet, you are paying for the fashion, aesthetic, and additional extras, rather than improved safety. In other words, you don’t necessarily have to break the bank to find a safe motorcycle helmet, provided it meets the previously mentioned safety standards, and fits your head properly. Vents: Particularly useful if you’re riding in hot conditions, advanced ventilation systems allow you to keep cool, while also preventing your face shield from fogging up due to the heat. Face shields: While most helmets will already have a face shield, it’s never a bad idea to have a back-up. It can be particularly useful to have a tinted face shield to use on sunny days. Scratch resistance: This one is fairly self-explanatory, but very worthwhile for long-distance riders. There’s nothing worse than having a scratch that you can’t itch as you roar down the road on your motorcycle. As such, a scratch resistant finish is a useful feature in many helmets. Removable/adjustable lining: After a long day of riding, the inner lining on a motorcycle helmet can get pretty sweaty. Removable lining is exactly what it sounds like: you can take the lining out of the helmet, wash it, and have it smelling as fresh as a daisy for your next ride. This is also a useful feature if you’re looking for a slightly tighter or looser fit. Clasp retainer: A simple feature, but it can be extremely helpful. A clasp retainer on the back of your helmet will stop your goggles from falling off mid-ride. Water resistance: While most helmets are waterproof, it’s worth confirming this when you purchase the helmet. The last thing you want is to be caught in the rain with a leaky helmet. After putting so much effort into selecting the perfect helmet, you probably won’t be keen to replace it too soon. Nevertheless, for your own safety, it’s important to understand when your motorcycle helmet needs to be changed. If you ever drop your helmet, it should be changed immediately. Likewise, leaving your helmet rolling around in the backseat of your car, or the tray of your ute, can damage the helmet. You also shouldn’t leave your helmet on the wing mirror of your motorcycle, as this can dent the helmet, as well as making it dirty. Apart from this, the average lifespan of a motorcycle helmet is approximately five years, so if you take good care of your helmet, it should last you a long time. Already found the perfect helmet? Check out 7 of the best motorcycle rides in Australia, as well as 8 reasons to ditch your car for a motorcycle.